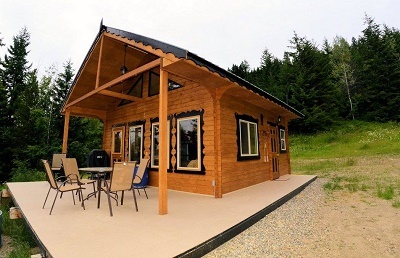 Building the Finest Prefabricated wood Cottages, Cabins, Sheds, Saunas, Gazebos and now Custom Homes for over 17 years in British Columbia, Canada! 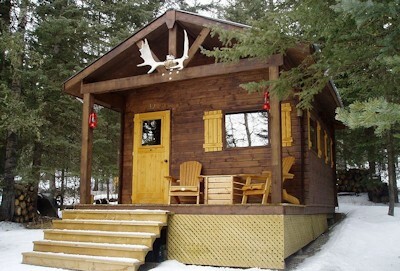 Building the Finest Prefabricated wood Cottages, Cabins, Sheds, Saunas, Gazebos and now Custom Homes for over 21 years ! Bavarian Cottages in British Columbia Canada offers the finest in custom built Homes, Cottages, Cabins, Outside Saunas, Sheds, Gazebos and more. 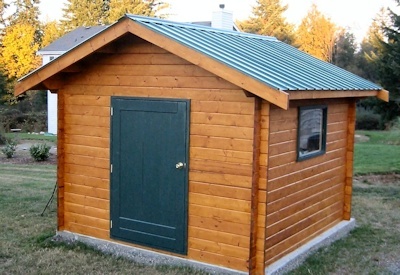 We were one of the first builders of micro sized cabin kits on the market, long before it became the huge trend it is today. 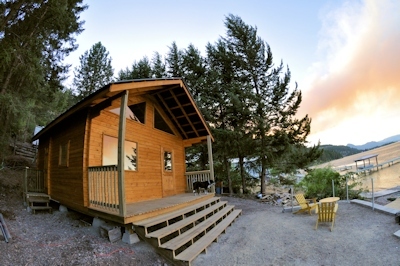 Tiny homes, micro sized cabin, mini cottages, whatever you want to call it, it's the same thing, and it's all about being efficient with a small footprint and living in an eco-sustainable manner. Whether you are looking for a simple kit for a kid's playhouse or a beautiful small cabin kit for that remote piece of property, we can make your dreams and visions come true. We build durable, long-lasting and beautiful kits that are regularly shipped to locations throughout North America. Easy to put together, fully pre-cut and guaranteed to look great! 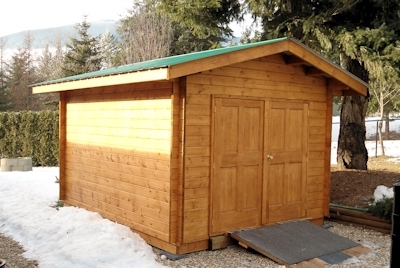 Why try to build your own building from scratch when you can easily construct the finest cabin, shed or gazebo from one of our completely premanufactured kits? Let us do the hard work and provide you with a proven design guaranteed to provide you with lasting beauty and functionality with the speed of a fully pre manufactured kit. This doesn't have to be a multi week or multi season project. Most of our kits can be built in one long weekend with just a couple friends helping - even if nobody has experience. That's one of our strongest points, we take tremendous care to make sure everything fits, nothing is missing and everything is marked out carefully on the pieces themselves so you don't have to constantly search back to the instructions for the next step. 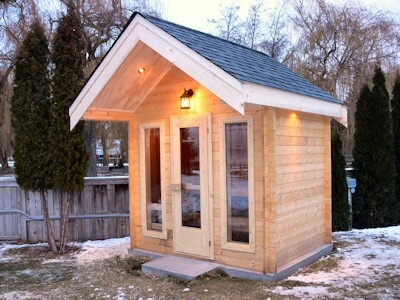 For those of you unfamiliar with cabin or home kits, they are built to the same standard out of the same type, size and strength of lumber found in your normal home, the big difference is quality control. Kits generally have a much higher degree of precision due to the use of jigs and the controlled climate in which they are built. If you are searching around for a "kit", there are numerous key points to use to compare them. The biggest advantage of our kits is that they are actually ready to assemble. Many "kits" are really not much more than a pile of lumber with the correct number of pieces but ALL the work still has to be done. The pieces aren't cut to length, they have not been individually chosen for quality, they are not marked out so you have no idea where to attach other pieces of the kit to and so forth. This is the biggest reason people are buying a kit in the first place, so if it's not done, you aren't getting very much for your money and it will not be an easy project. Second most major point is what is included. Many kits do not include things like the floor, hardware and yes sometimes a roof - no kidding; These are necessary parts and can add substantial cost to a "cheap" kit. It's important then to make sure you ask for a list of the items included in the kit you are interested in. 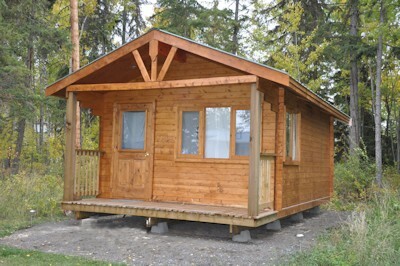 So please have a look through our site to see all the advantages that our company has to offer and also note that as of 2012, we are now also offering Custom homes and cabins constructed using the traditional framing methods most people are used to such as 2x6 framed walls. Please search FACEBOOK for BavarianCottages for more pictures and videos. www.canada.com - "Buyers thinking inside the box"
We are the EXPERTS in doing the most with the smallest spaces ! Building styles we employ - please note not all structures can be prefabricated.